When it comes to school funding, Illinois has been ranked as the worst in the country because our system is so inequitable. Basically that means some schools offer a lot of advanced placement courses and have fancy science labs and swimming pools, while other schools can’t afford new math books and have to cut their band programs. The fight over how to fix this has gone on for years. In July, Gov. Bruce Rauner announced that he was creating a bipartisan commission to change the way Illinois funds public schools. That commission held its third meeting yesterday. But there’s another commission tackling the same topic, and its founder claims her group is getting more work done. 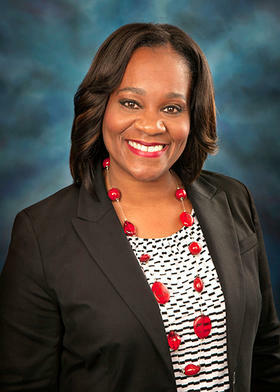 State Sen. Kimberly Lightford, a Democrat from Maywood, has been hosting an ongoing series of meetings with lawmakers from both parties plus dozens of stakeholders -- also known as lobbyists -- representing every constituency of K-12 education, from parents to principals, teachers to state bureaucrats, superintendents to special ed experts. There's no audio from those meetings, because they are closed to the public and the media. But people this who attend say Lightford’s work group is where the hard questions get asked and answered. “Well, I’m not really concerned about what people think,” she said, in an interview last week. “I’ve spent almost 18 years in the legislature. My passion has been education. I’ve served on the Senate Education committee for almost 18 years, and there is no way that you can do a bill of this nature open and to the public and transparent with the media, because it holds back the discussion. It holds back legislators. Everyone has to be politically correct in their answers, instead of us looking at the serious issue that we’re ranked 50th in school funding across this country. As a starting point, they’re using a measure Lightford sponsored late last session, after it became clear that no other plan on the table would win approval. Hers is essentially a combo platter, merging the most popular Democratic plan, pushed by Senator Andy Manar, with the so-called “evidence-based model,” pushed by Republican Senator Jason Barickman. Lightford views both of those plans as promising but imperfect. “Senator Manar is very involved and active in the meetings that we’ve been having, and I have no desire to discard all of the work that he’s done," Lightford said. "I think that he had significant efforts to get the bill passed, but there was some things that apparently missing that couldn’t garner the full support of the caucuses or to get the House to call the bill. Lightford said Gov. Rauner announced his funding reform commission a few days before her group's first meeting. She had sent invitations via email "about two weeks earlier," she said. Those invites included the governor's staff. The two committees include largely the same cast of characters but the format differs. In the governor’s commission, stakeholders meet privately for two hours with experts, and usually without lawmakers. Then after a break, the lawmakers meet with experts while stakeholders and any interested media observe. In Lightford’s group, everyone meets together and asks questions freely in order to get tough issues hammered out. “We are much further ahead in our discussions than the (governor's) education commission is,” Lightford said. How does she know? She's on that commission too. Lightford's group will meet again Sept. 20. Both groups share the goal of crafting a new funding plan by February, when whatever they come up with will be debated publicly.